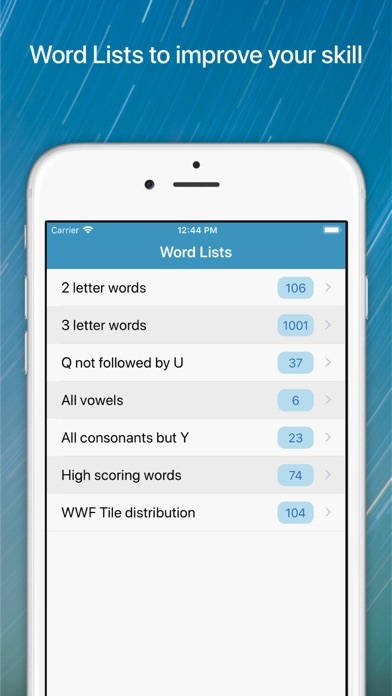 Word Lookup Pro is the ultimate Anagram, Word Finder and Dictionary for word games like Words With Friends, SCRABBLE®, Letterpress, WordFeud, WELDER and crossword puzzles. 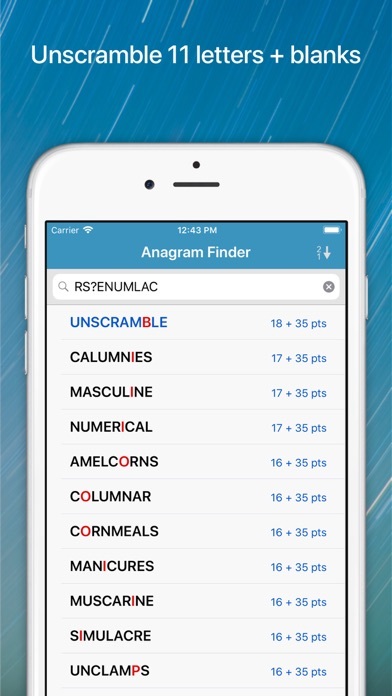 Use it to resolve a 'challenge', improve your game, and learn new words and their meanings. Use ? or [space] as a wildcard for one letter, and - as a wildcard for any number of letters. "It's great! Definitely improved my game!" — S.R. 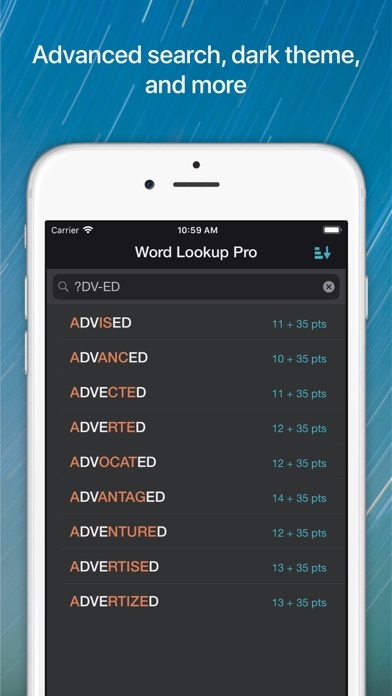 "Word Lookup is easy to navigate. I now also use it as my everyday dictionary. Well done." 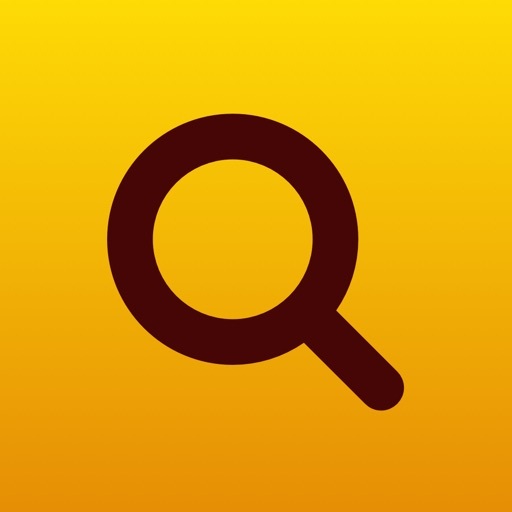 — A.C.
"Great vocabulary builder! Helps when you have a mind block — without cheating!" — R.V. Hello to all the new words such as BU, EE, EO, IB, IO, JA, KI, OU, TE, VU, COQ, SEQ, TWOC, YAPP, CWTCH, FIGGY, JUVIE, QUORATE, etc. 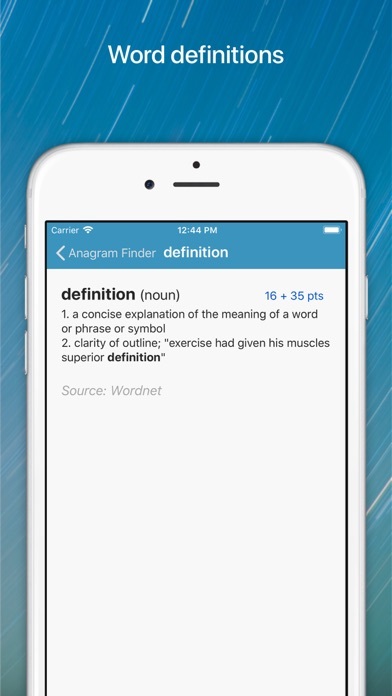 * Improved definitions. 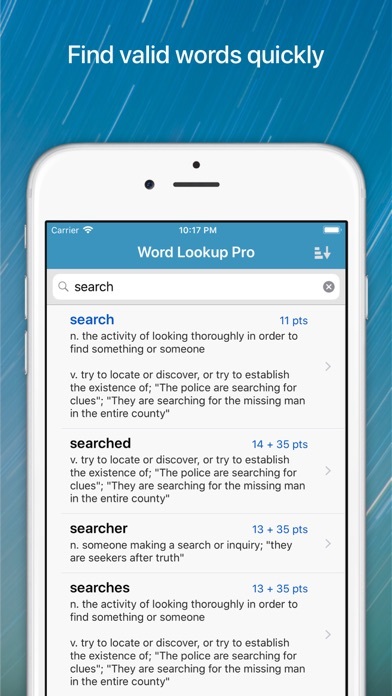 Shows links to related words (such as synonyms).